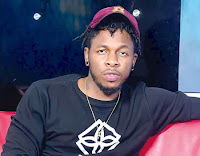 Hip-hop singer, Runtown, got the highest downloads on account of his club banger, ‘Mad Over You’. According to online music download platform, Mynotjustok, the singer, whose real name is Douglas Jack Agu, took the lead with two million downloads, Nathaniel Bassey‘s Olowogboboro closed out the year with 764,000 downloads while Triple MG, emerging star, Tekno had several high download counts on the list as well. “Mynotjustok also saw growth in its streaming stats in 2017 where Tekno dominated with 3 singles and his most recent one, Mama featuring Wizkid, taking the lead. 2018 can only get bigger for African music as a whole,” the statement read on their website. This shows the trend of how singles became hit song. Though Davido’s double hit, IF and Falling as well as Wizkid’s ‘Close’ were songs that trended and even got awards, Runtown, who is also a music producer has a diverse musical style mix of hip-hop, R&B, reggae and rap, had most downloads.